Huawei Technologies Co Ltd HWT.UL, the world’s No.6 mobile phone maker, said on Wednesday that it expects to ship more than 100 million mobile phones this year including 60 million smartphones as it aims to increase its global market share. “We plan to target China, the United States, western Europe and Japan as key markets,” said Shao Yang, chief marketing officer of Huawei Device, a division that makes and sells consumer electronics including dongles, mobile phones and tablet PCs. Mobile phone sales last year totaled 55 million handsets. Shao also said Huawei expected consumer device sales to reach $30 billion in five years, from $7 billion now, becoming as big a revenue driver as its flagship telecommunications equipment business. “This means that by that time, the revenue will be comparable to our telecom equipment business. We feel the room for growth for devices is much bigger than the telecom carrier sector,” Shao told Reuters in an interview at the company’s Shenzhen headquarters. This year, Huawei aims to sell 60 million smartphones, such as its Ascend and Honor models, up from 20 million last year, executives said earlier. Last year, Huawei recorded sales of 44.62 billion yuan ($7 billion) for consumer devices, a rise of 44.3 percent. The company aims to sell higher-end smartphones to boost margins in the highly competitive handset market that has eroded margins of some handset makers. The company’s gross profit margin dropped 6.5 percentage points to 37.5 percent last year. 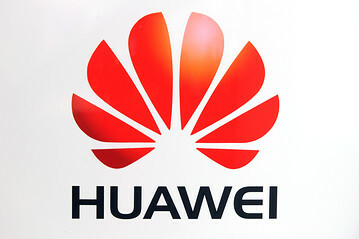 Huawei, founded by Chief Executive Ren Zhengfei in 1987, has diversified into consumer devices, such as its Vision smartphones and MediaPad tablets, and enterprise networking equipment as its core telecoms gear market has stalled. COD: Modern Warfare 3 Details Leaked!! Next: UFO spotted orbitting the Sun!